Marjorie Barstow, who everybody called Marj, was the first person to graduate from F. Matthias Alexander’s first training course. She worked for a while with FM’s brother Albert Redden Alexander in Boston and New York and then on the eve of World War II she returned to her home in Lincoln, Nebraska where she lived and taught – in the same house – for the next 55 years. Marj once told me that from the day she read Alexander’s book Constructive Conscious Control in the early 1920’s, not a day passed that she didn’t think about, and experiment with, his ideas. She read. and re-read, his books over and over again, particularly Use of the Self. Starting in her 70s, when she was “discovered” by the Alexander world, she maintained a teaching schedule that kept her away from her home for over half of each year – flying to Australia, Europe, Canada and all over the States until she was in her early 90s. She never tired of teaching and was was still giving lessons until a year or so of her death at 96. I first met her when she was 80 and I was half-way through a teacher training course in London. I immediately knew she was going to be my primary teacher and made sure to work with her as much as I could. When she tired of traveling I moved to Lincoln to run workshops for her there. I came to think of her as someone FM dispatched – no doubt unconsciously – far, far away from England. And far from the petty infighting that he may have suspected would develop among his followers as his work became better known – the kind I saw on display when I was in London in the late 70s and early 80s. 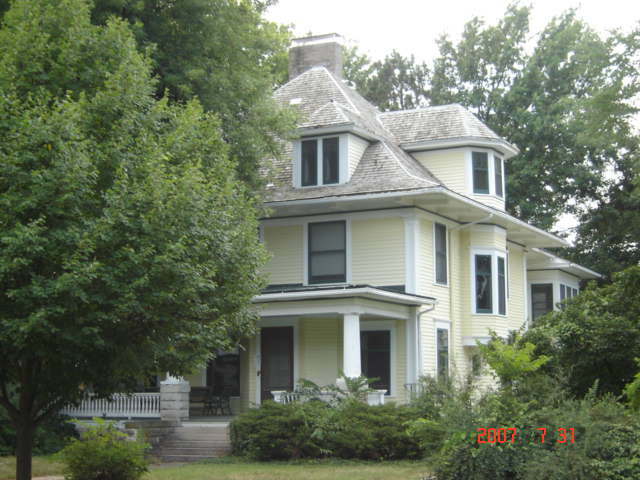 Marj Barstow’s home – built by her father in 1899. Marj lived there for 94 years. 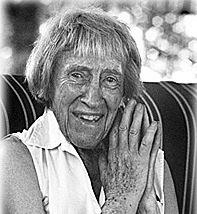 Luckily for today’s teachers and students of the Technique, her work lives on – with the many students and teachers who were lucky enough to study with her and with the extensive collection of videos of her teaching now available on YouTube. Finally, her website, MarjorieBarstow.com has links to a great many other videos, personal accounts of her teaching and photos. I’d love to hear about your experiences with this remarkable woman – truly an American Master. Thank you for leading us to such priceless treasure! Thanks for the interview. More lovely information about my teacher’s teacher. If you came to the UK nowadays you would find a bunch of us carrying on her tradition, via Don Weed’s teaching. We do indeed teach psycho-physically, and treat every student as an individual, for whom we design unique lessons based on what we reason out that they need at that time. It’s lovely to hear more of the person who ( with AR Alexander’s input as well as FM’s), of all the teachers trained, first expounded the idea of group teaching and experimenting and really studying the books. we all owe her a huge debt and I for one am really sorry that I never met her. Thanks for your kind words. I glad Marj’s influence is moving back across the pond!